A tasty butter whish can be used as a spread, in baking, dressings and sauces. This Soil Association certified organic butter is created using unroasted South African organic raw pecan nuts, which have been cool milled under 44 °C. It also includes a small amount of cold pressed sunflower oil, but it does exclude salt. Organic pecan nuts can sometimes contain crop fragments, but Carley’s try to remove these during processing, however they cannot guarantee that they find every piece. This nut butter is suitable for those with a gluten free diet and vegans. Produced in Carley’s new factory which is zero carbon/zero waste, located in Truro, Cornwall, UK. Pecans (91%), Cold Pressed Sunflower Oil*. 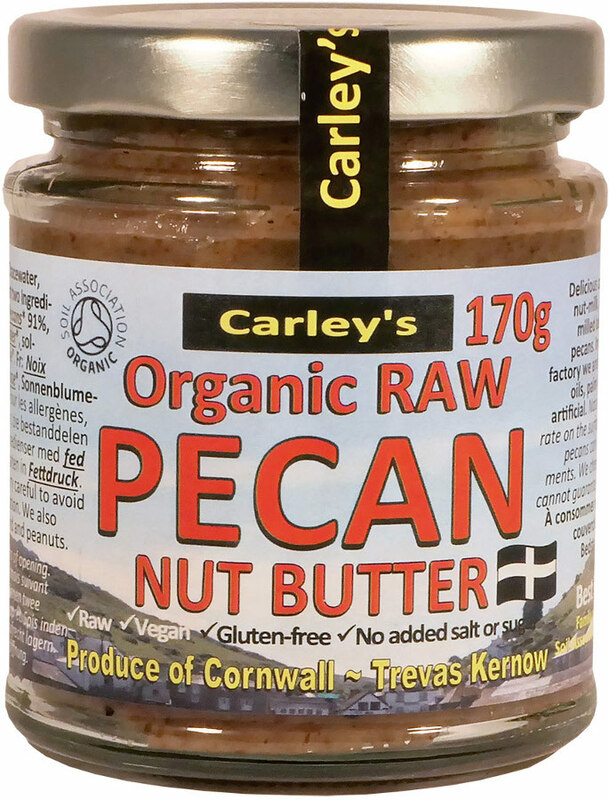 The Carley's Organic Raw Pecan Butter - 170g product ethics are indicated below. To learn more about these product ethics and to see related products, follow the links below. 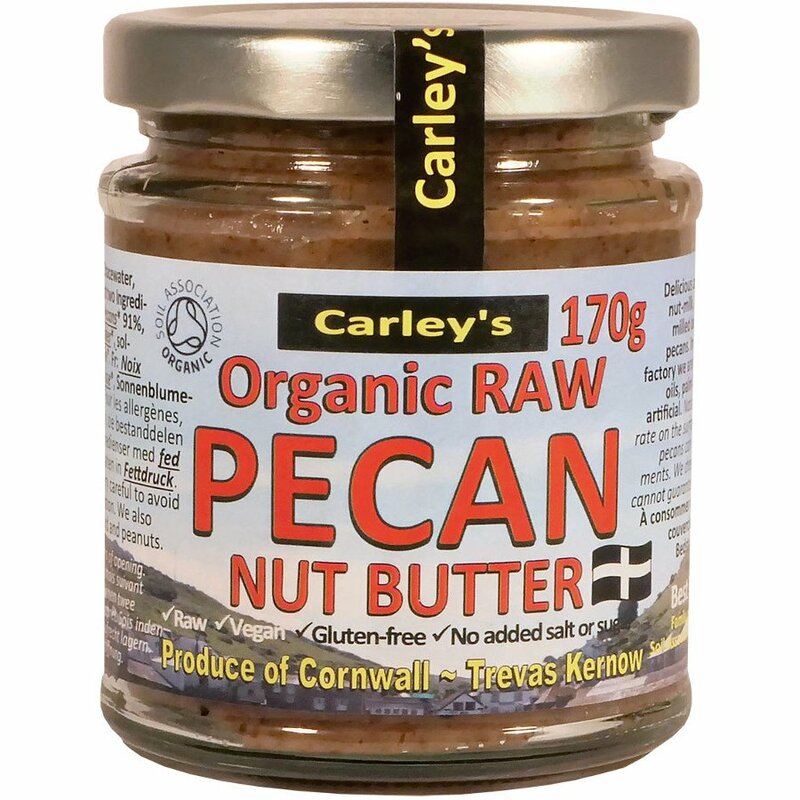 There are currently no questions to display about Carley's Organic Raw Pecan Butter - 170g.